one-time Lagos socialite and businessman for allegedly defrauding a Germany-based company of one million dollars 25 years ago. The News Agency of Nigeria (NAN) reports that Ajudua was remanded in prison following his not guilty plea to a 12-count amended charge of conspiracy to obtain money by false pretences, obtaining money by false pretences, uttering forged document and forgery. The charges where filed against him by the Economic and Financial Crimes Commission (EFCC). Ajudua was previously charged before Justice Josephine Oyefeso of an Ikeja High Court and was re-filed by the EFCC at the Special Offences Court. Ziad Abu Zalaf, the German victim of the alleged scam, had arrived the country on Monday morning in a bid to testify against Ajudua. According to Mr Seidu Atteh, the lead prosecuting counsel for the EFCC, the defendant committed the offences between April and May 1993. Ajudua conspired with one Joseph Ochunor who is still at large to obtain money by false pretences from Ziad Abu Zalaf of Technical International Ltd., a division of Mystic Company Ltd., a German-based company. he told the court. The EFCC counsel also said with intent to defraud, Ajudua and Ochunor obtained 268,000 dollars on April 2, 1993 from Zalaf and on May 12, 1993, the men fraudulently obtained the sum of 225,000 dollars from Zalaf. In addition, the accused had on June 21, 1993, fradulently obtained 550,000 dollars from Zalaf. Atteh said Ajudua and Ochunor, in a bid to give credence to the alleged scam forged Central Bank of Nigeria (CBN) receipts and Nigerian National Petroleum Corporation (NNPC) and presented it to the foreigner as genuine. “In order to facilitate the scam, on April 7, 1993, the duo knowingly and fraudulently uttered and forged CBN official receipt No. 128. “On May 12, 1993, they uttered and forged a receipt with No. 138 purportedly issued by the CBN. “On May 12, 1993, the men forged a Contract Completion Certificate purported to have been issued by the NNPC, Falomo, Lagos to Mystic Limited of 1, Church Street, Douglas, Isle of Man. “The forged certificate was to show that the NNPC had completed contract number NNPC/EED/8024/79,” the EFCC prosecutor alleged. The offences contravened Sections 419, 467(2)(a), 468 and 516 of the Criminal Code Law of Lagos 2003. Following Ajudua’s plea, his defence counsel, Mr Norrison Quakers (SAN), in an application dated June 1 had applied for the bail of the defendant. “The defendant has been granted bail in a sister case before Justice Oyefeso and he has not had any cause not to appear before her except for once when he had fly abroad due to a medical emergency. “We apply that the same bail condition be accepted and the trial starts today, ” Quakers said. Atteh, in his submission, however opposed the defence’s bail application and demanded that Ajudua’s bail should be revoked. The EFCC prosecutor noted that the case had to be adjourned until the next day because preparations were underway for a German interpreter to interpret the testimony of the witness. “The defendant has not been adhering to the bail conditions granted to him by Justice Oyefeso. “We have an application for the revoke of his bail for his failure to appear in court on March 23. “The witness is here, he is not fluent in English Language, he flew in from Germany this morning. the German Embassy to provide an interpreter,” Atteh said. 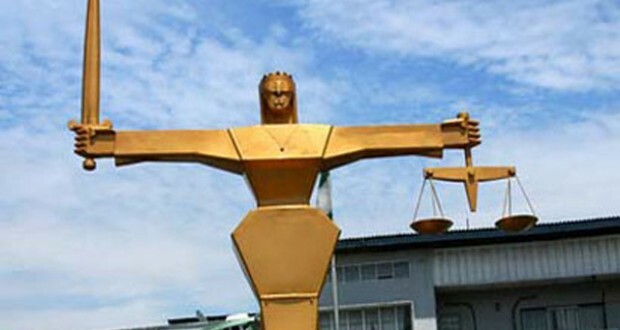 Acceding to the EFCC’s request, Justice Dada said:“The case is adjourned until June 5 for trial. Earlier during proceedings, Justice Dada had dismissed an application dated May 9 filed by the defence to quash the charge on the grounds that the court lacked jurisdiction to hear the case.